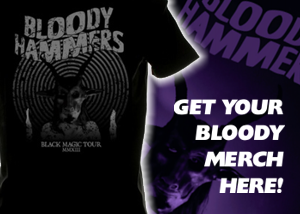 BLOODY HAMMERS released their debut album Bloody Hammers on November 23 in Europe via Soulseller Records. The record will see a February 3, 2013 release date in North America via Soulseller, distributed by RED. 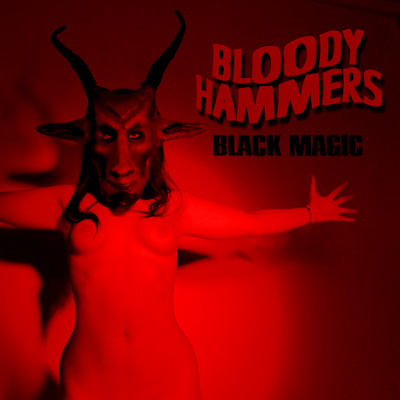 Described as “an addictive album with a retro edge that appeals to both the Nick Cave and Black Sabbath sides of the brain,” Bloody Hammers was recorded and produced by bassist / vocalist Anders Manga at NC’s Greystone Studios. 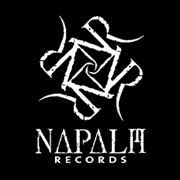 Decibel magazine brings underground music fans a taste of the band’s debut, rolling out the killer cut “Black Magic”. Check out the action at this location. 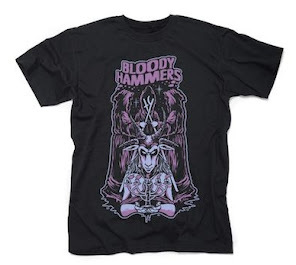 The music world is quickly taking note of BLOODY HAMMERS‘ heavy sound. AOL Music‘s Noisecreep recently delivered a taste of BLOODY HAMMERS‘ infectious power, premiering the track “Witch of Endor” (at this location) and The Obelisk dealt the new BLOODY HAMMERS song “Souls on Fire” (check out the track now at this location). Check out new interviews with the band via Revolver and Guitar World for more insight into this cult crew’s metallic mindset!